The House Committee on Natural Resources is stacked against wild horses and burros. The vet called to testify seems to be from a wealthy Nevada ranching family. The Farm Bureau witness seems to be Pro-Slaughter for wild horses, etc. The Oil and Gas industry is about to launch a huge #Fracking boom in the areas where wild horses live so follow the money behind this rigged hearing. . .
PUBLIC comment allowed for 10 Business days after this meeting, which is July 7, 2016. Donate to save wild horses with the law on their side! The team at Protect Mustangs feels legal action is a very important area of focus with a huge impact to save many lives. Did you know that Academy Award-winner Michael Blake (Dances with Wolves), RIP, joined our Fort McDermitt lawsuit in 2013 to help stop two years of horrible roundups that were sending wild horses to slaughter? 1. I am an author as well as a screenwriter. I have written several books and screenplays including Dances with Wolves, which was released to international acclaim in 1990. In 1991, I won every major award for my screenplay for Dances with Wolves, including an Academy Award, Golden Globe, Writer’s Guild Award, and the Silver Spur. I have also received public service awards including the Eleanor Roosevelt Award and the Americanism Award, in addition to many other awards during my life. 2. I reside in Sonoita, Arizona. 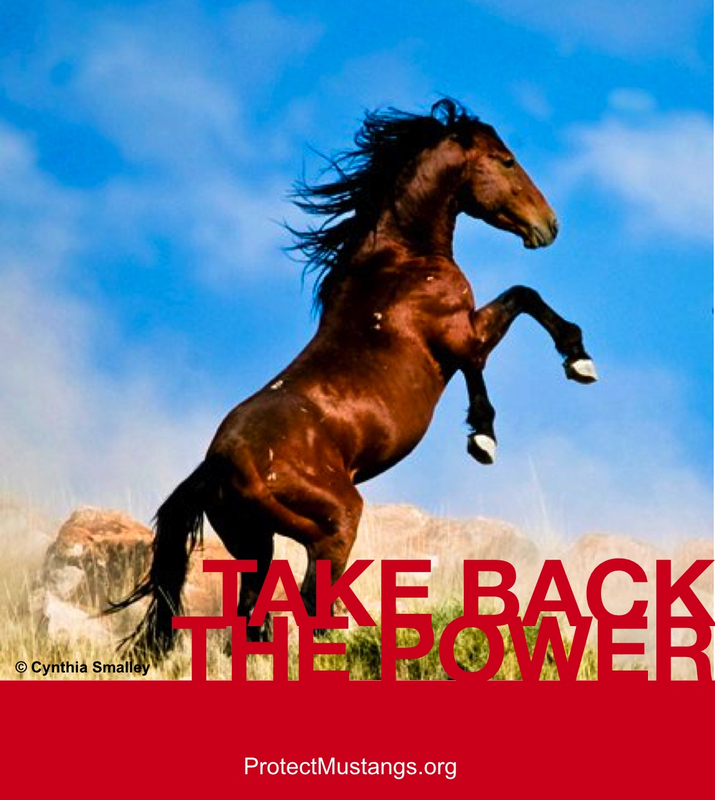 I am a member of Protect Mustangs, and also am on the Advisory Board for Protect Mustangs. In a professional capacity I am an author and screenwriter. I support the work that Protect Mustangs does to protect wild horses and advocate for effective wild horse conservation on public lands. 3. I have visited Nevada for decades to see the wild horses, study them, and be inspired by them for my work. I have explored the lands of Nevada where the wild horses roam in freedom for inspiration and research for my work. I intend to return to these areas so I may continue to be inspired and do research for my work. 4. In 1992, I helped commission the first comprehensive aerial census of wild horses in Nevada. In almost every herd area, the horses were far less numerous than the BLM estimated. The final count in our survey was 8,324. 5. Protect Mustangs’ members are interested in wild horses, and I support their work to protect wild horses’ freedom and safety from cruel and harmful practices including but not limited to illegal roundups. Their mission is to educate the public about indigenous wild horses, protect and research American wild horses on the range, and help those who have lost their freedom. Protect Mustangs works to educate the public about the decisions and activities of the government that impact wild horses, and find solutions for wild horse conservation that does not include roundups and auctioning off wild horses for slaughter. Members of the public and horse advocates across the United States are interested in and support Protect Mustangs’ work to protect wild horses due to their recreational, scientific, spiritual, ecological, cultural, artistic, historical, iconic, and aesthetic values. 7. I have written extensively about the American West and find inspiration seeing and studying wild horses. If these unbranded, wild horses are rounded up and removed by the USDA Forest Service and/or the BLM on tribal land, or elsewhere by the Forest Service and/or the BLM, I will be harmed because I will no longer have the ability to study them or be inspired for my books, stories and other works. 8. Wild horses and their connection with the land in the American West inspire me to write. I have plans to spend time in the future using and enjoying these lands and studying free-roaming wild horses on public lands in the Owyhee HMAs and where the wild horses roam in the Humboldt-Toiyabe National Forest, as well as on tribal lands. The proposed gather on USDA Forest Service and tribal lands will forever remove wild and free-roaming horses that I rely upon in my professional and personal capabilities. 9. I derive significant satisfaction and happiness from the existence of native wild, free- roaming horses. Ensuring the continued existence and distribution of wildlife including wild horses in the West is of the utmost importance to me and has directly influenced my life a great deal. The West is far different than the East because the West still has wildlife—including wild horses that inspire me to write fiction and non-fiction. 10. If the Fort McDermitt Horse Gather proceeds as planned, it will prevent me and other members of Protect Mustangs from recreating, enjoying, studying, being inspired from, and writing about the wild horses in the area in the future. I am very unlikely to continue deriving benefit and inspiration concerning the wild horses in an area where they have been removed and herd numbers drastically reduced as is proposed by the Fort McDermitt Horse Gather and the 2013 Agreement between the Forest Service and Fort McDermitt Tribal Council. Our members share these views as well. 11. I have been studying and gaining inspiration from seeing wild horses in Nevada throughout my life. I have certain plans to continue visiting these wild areas of Nevada authorized for roundup, including the Humboldt-Toiyabe National Forest, throughout my lifetime. For the aforementioned reasons I would be directly harmed should the unbranded, wild horses at issue in the Fort McDermitt Horse Gather be removed and the horses rounded up and be allowed to go to holding, auction, sale, or slaughter. Thank you for taking action today to help save the wild horses! MEEKER, Colo. — The Bureau of Land Management (BLM) White River Field Office is seeking public comments on a proposal to gather alleged excess native wild horses in northwest Colorado. The BLM claims they want to sustain healthy public lands and wild horse populations yet their management levels are too low. Wild horses should have principal but not exclusive use of the land. 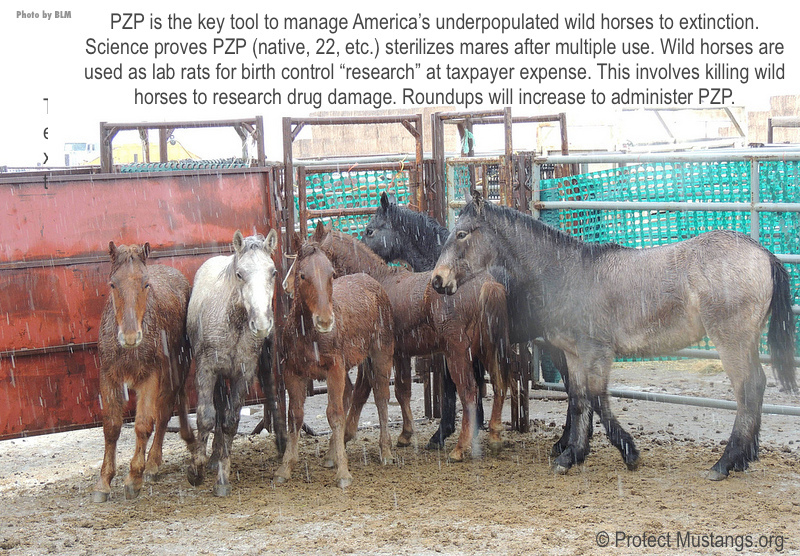 The BLM’s multiple use manifesto is unfairly pushing wild horses off their native land. The BLM is proposing to use a helicopter to locate and stampede wild horses toward a set of corrals as well as using water and bait trapping. The roundups could begin as early as September 2015. Up to 167 wild horses could be removed. The White River Field Office manages the Piceance-East Douglas Herd Management Area to maintain a healthy wild horse herd in balance with other resources and uses such as mining, drilling and livestock grazing. This area currently has an estimated 377 wild horses, but the appropriate management level for that area is too low at only 135 and 235 wild horses. The adjacent West Douglas Herd Area is not managed for wild horses but currently has an estimated population of 365 wild horses. Cruel roundups could occur in either area as well as areas within the White River Field Office outside these boundaries. The BLM planning documents, evaluating the proposed roundup and removal operations, are available at the White River Field Office at 220 E Market Street and online at www.blm.gov/co/st/en/fo/wrfo.html. It’s important to send in public comments regarding the BLM’s proposed roundup and removal plans favoring other users by May 5. Written comments can be mailed to the White River Field Office, 220 E. Market Street, Meeker, CO 81641 or submitted via email to mkindall@blm.gov. General questions can be directed to Melissa Kindall at 970/878-3842. Before including your address, phone number, email address or any other personal identifying information in your comment, you should be aware that your entire comment, including personal identifying information, could be made publicly available at any time. While individuals can request the BLM to withhold personal identifying information from public view, the BLM cannot guarantee it will be able to do so.